1786. Oil on canvas, 112 x 145 cm. And here’s El Balancín. First the cartoon, then the version at Viana Palace, then the version which will hopefully join the museum collection. By the Gods they’re magnificent! The detail. Oh to see them in real life, you’re a lucky man Mr Pink, and well done for sourcing them and getting the museum interested, you’re a national treasure! – Esme Cloud keeping the pictures for herself before they disappear. The museum doesn’t know these pieces are available yet…! I’m going to wait until after the holidays for that. Meanwhile they’ve been baptised by all three dogs who’ve sat on them when I was trying to take photographs. Oops. HAHAHAHAHAHA. Quite apt the dogs I suppose. They’re exceptional. Looking up close and seeing the sort of tedious precision that’s necessary to create one of these pieces is amazing. Magnifique! Must say I didn’t at first spot mastiff #2’s mug, but did see more than 4 canine legs. I have, in the past, done a small amount of (much simpler) tapestry weaving and am well aware of “tedious precision” this kind of work takes! Did you weave as a hobby or a specific project? When I retired from teaching a few years ago. Seems the loom just sat there, my daughter, especially with a new baby herself, was not interested, so I gave it to a very talented weaving friend who’d lost some of her own looms in a divorce. Why is this post going to go private? Buyers, whether private people or institutions, usually prefer to control the discussion around what they buy. Some don’t want pictures of their property out at all. It’s a minefield. Thank you. So very beautiful. Such exquisite craftsmanship. Thank you for showing them to us. Isn’t it just? Imagine the sort of eye it takes to even just recognise the colour nuances and choose the threads. It really does have to be the equivalent to the eye of a master painter. 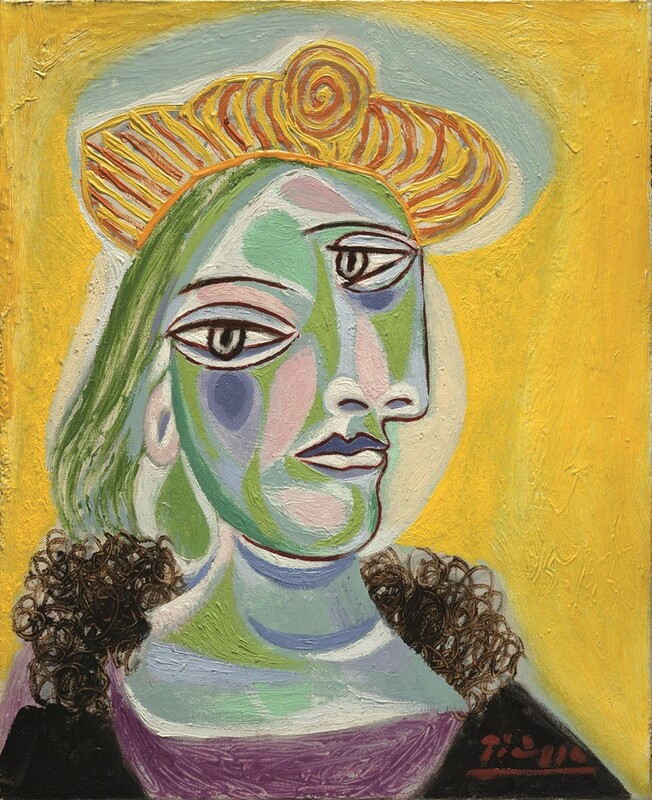 Indeed – and there is the actual translation from one medium to another – from paint to thread, and how the eye will respond to the work close to, or at some distance. And as you say the making of each stitch requiring such precision, to say nothing of maintaining an even and uniform tension for each stitch. Marvellous the more one thinks of it. I suspect the boys would have desired saddles for those dogs! Were the weavers male or female do you think? Probably female with the male designer getting all of the credit. There were both male and female weavers. In the big ateliers there were often people specialised in specific things (trees, faces, animals etc.) The people in charge, as you guessed, were always men. In the case of the Spanish Royal Manufactory it was the Vandergoten Stuyck family (men) for the past 300 years. I also love that you are focused on constructive pursuits as a personal growth opportunity 😉 When you share your knowledge of the craft of beauty, you are generous and inspiring!! So, will we contribute to the wine stains and shall we bring a fourth dog? Bronte doesn’t understand relationships with people or dogs, never had a proper one before we came along . Have been gently introducing her to nice people with nice dogs. But she is quite happy to sleep in the car if she can’t cope with the excitement. Be prepared for a mess… The house is still very much part construction site! Fourth dog?? Did I miss a third one?? We just adopted a German Shepherd/Mexi-mutt mix ( from Mexico) about 5 weeks ago after losing our dear 15-yr.-old Currie ( German Shepherd/Lab/Great Dane) in early Sept. So sorry for your loss! You’ve done the right thing by adopting again. It’s the best way to put your emotions and energy back on track while doing something *constructive*!!! Thanks, Pink. We only lasted 2 months sans chien because we had a month-long road trip in between and my bf convinced me that driving 3000 km cross-country with a new puppy would not be the smartest move… A couple of years ago we only lasted 10 days sans chat. Like the sound of Rudy the Terrorist. You say that now, just wait until he’s trying to bully his way onto your lap. What fabulous finds. The work involved in creating them is exquisite, & I appreciate the rare chance to see the reverse. 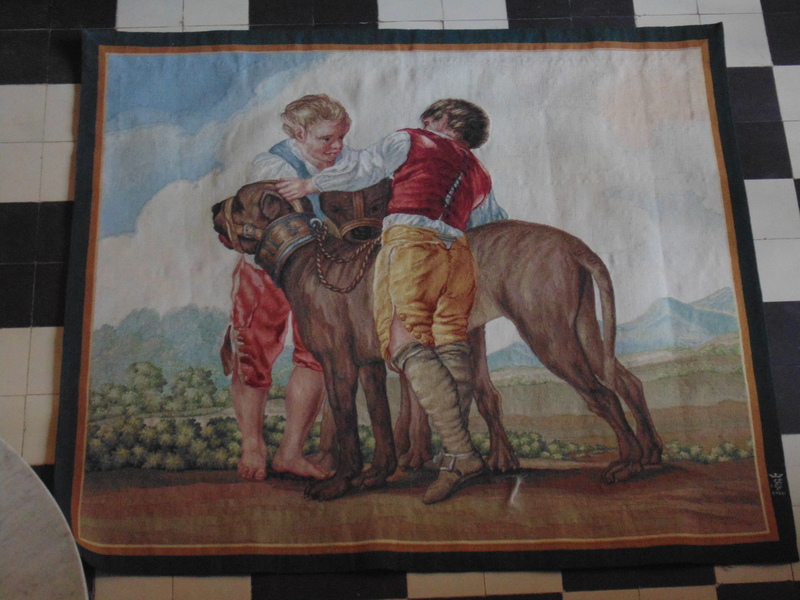 I’ve often seen tapestries in various National Trust houses, but due to the ever present danger of them fading in daylight, they are invariably displayed in darkened rooms, & I find them very boring, as it’s impossible to see any details. These are alive with colour. I think we all hope you will continue to be more ‘constructive’ in future, so we may see more lovely treasures. Look forward to these posts. 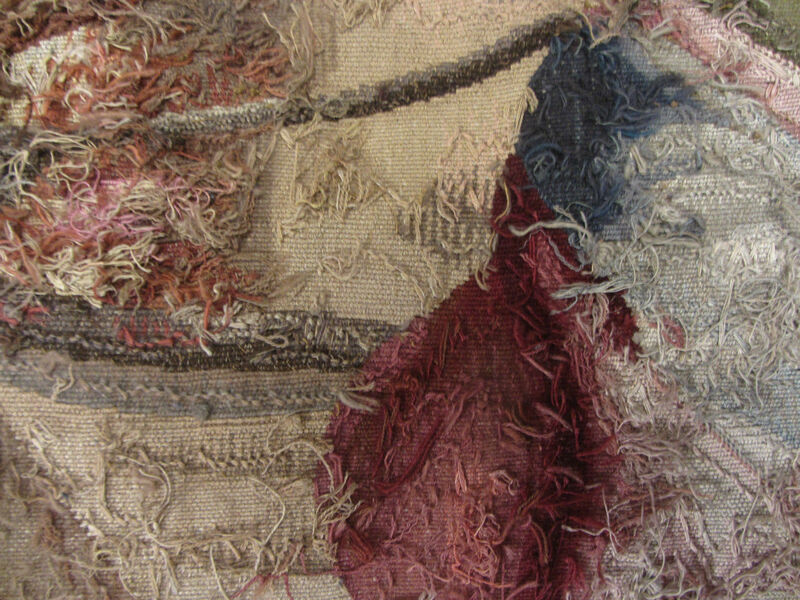 I have a fair amount of knowledge re old textiles, but not tapestries, sadly. Keen to learn. I have to respect the craft. If a painting goes wrong, you can scrape off and repaint a section, most certainly can’t do that with a tapestry, so I admire those who can do. I would have thought that you could redo an individual knot in a tapestry?? but I may be wrong. 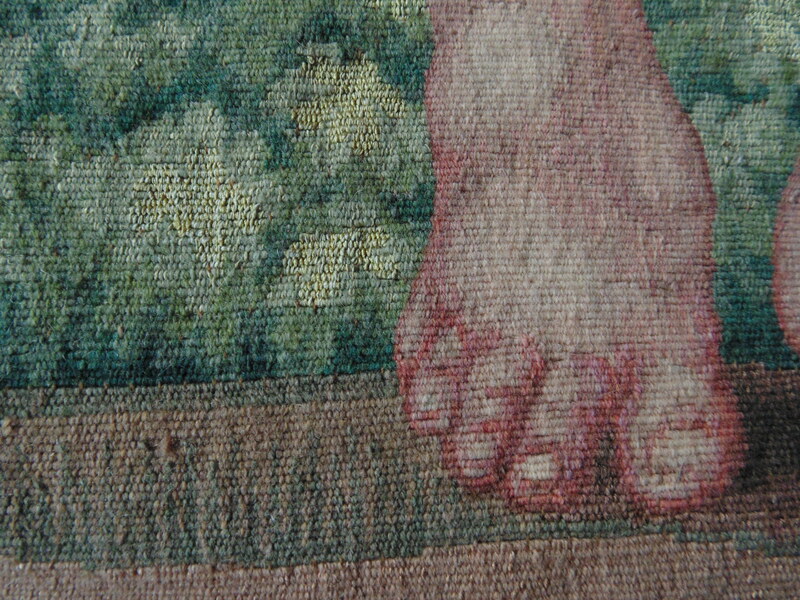 The only tapestries I’ve woven were done in small “blocks”, with slits left behind. It wasn’t impssible to redo parts, but not exactly easy. Not sure, but I cannot imagine it would be easy to rework a complex area. That’s the story of my life 😀 They were supposed to be waves, but they’re pyramids, deal with it! Oh My God….these are superb. The delicacy of the colouring…I just can’t imagine the hours that would have gone into just one small part of these tapestries. Do we know anything at all about the people [women?] who actually created them? My late aunt made lace and she also created tapestries, two of which I now own, so I’m kind of focused on the women behind the scenes so to speak, not just Goya. 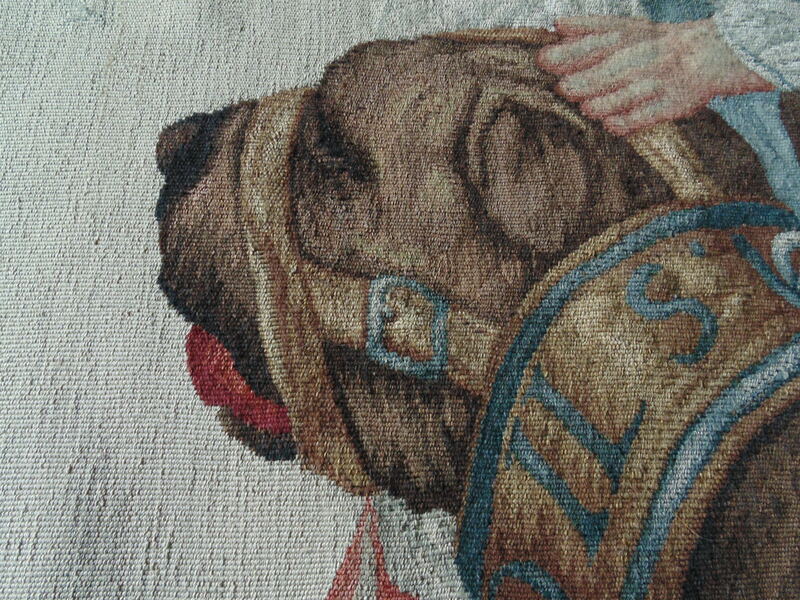 I’ll include some of the behind the scenes info in the coming tapestry posts. The process was amazing. Everything from making the thread, to dying the thread (to match the cartoons! ), to designing the piece, involved a tremendous amount of work. Yes please! 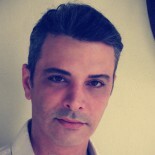 And I love Henri Salvador’s voice. Is his accent pure French though? Gorgeous! There’s a little something that reminds me of Jacques Brel. Wonderful – fingers crossed we’ll be able to admire them in Castres before too long!! I do hope they agree! I’d much rather see them there than in a private collection where very few people ever get to see them. 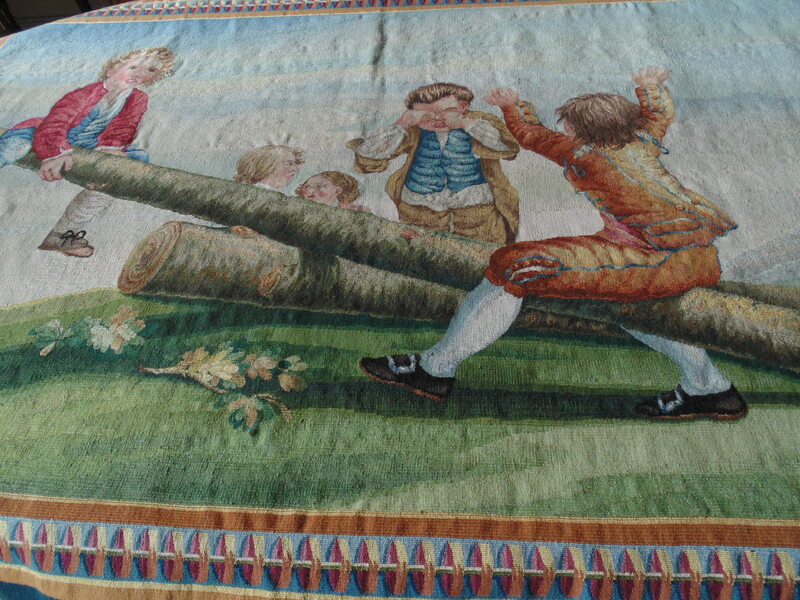 I love tapestries, always have. It is amazing to me that you have these in your possession. I don’t think you should say but obviously I am curious as to how that came to be. As you reveal yourself to us you become more and more interesting. You jump from art, to architecture to existential questions, to remodeling to your tortured psyche. I visit every once in a while, not daily and just when I am typing in your URL I am wondering what is going to be there today. Will Pink be up? Will Pink be down? Is he questioning the meaning of “good” today? It just never ends with you, your interests and talents are vast and varied. Although we share some common interests I’m not at all like you which is probably why I enjoy visiting with you. Are you still writing your life story or have you put that down for the moment? 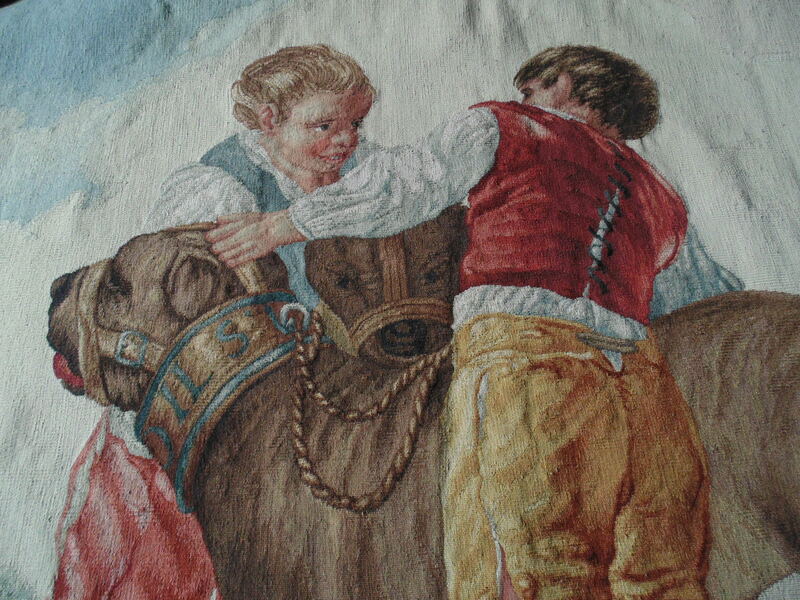 I enjoyed this Goya tapestry thread. Still writing, but I had to focus on these other things for a little while. I find I have to juggle a bit, to clear my mind, and also to exercise it. How nice that you like tapestries, that’s rare these days. Has it been the case for a long time, and what piqued your interest? Seeing tapestries in the great art museums of Europe since my early 20’s. Especially the HUGE tapestries, how can you not be awed by that? Plus I sew which not the same, but still has similarities to creating tapestries. As a matter of fact I am wearing right now a pair of pajamas I sewed. I sewed my mother a matching night gown. Sidebar, I had some specific things I wanted incorporated into a pair of pajamas, and I could not find that anywhere and believe me I put in the effort looking, so I bought a pattern, adjusted the pattern to what I wanted and sewed them myself. I sewed 2 pairs actually plus the nightgown for my mother. See I’m a little bit fussy the way you are. I know what I want, I think it through and if I can’t find it I just make it myself. When I was young I sewed many of my business suites, I was very slender and by sewing them myself I could get the fit I needed. Our lives would be easier if we were not so fussy. 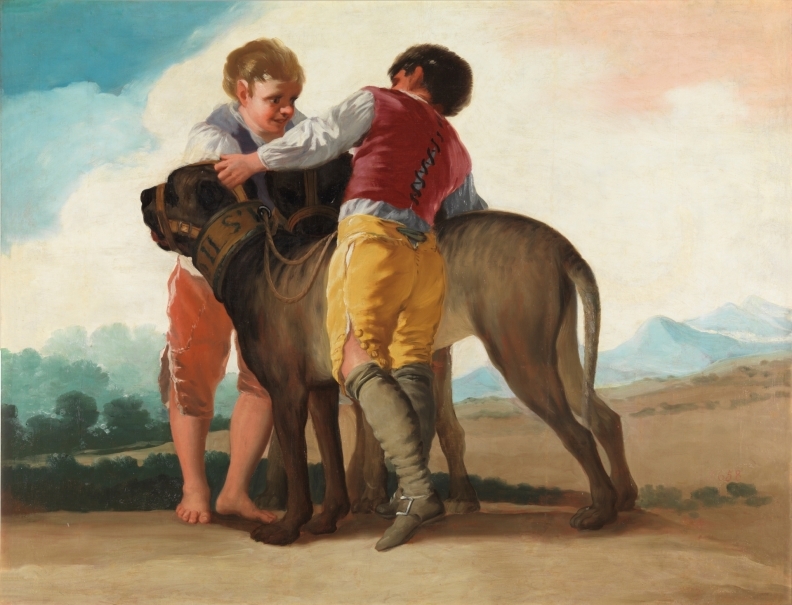 This entry was posted on December 8, 2017 by The Pink Agendist in art, design and tagged antiques, art, Goya, tapestries.